If I were ashamed, that’d be my confession. Instead, it’s a statement of fact. It’s also something I have in common with a whole lot of other people: Some who do feel ashamed, some who don’t. What unites us all? We really, really, really enjoy talking about our favorite series currently airing on a network that often goes overlooked. Because, while some shows are better made than others, in general The CW has cornered the market on addictive television. My recent deep dive into the network, whose roots were once branded by a cartoon frog, started with “Arrow,” because a friend kept saying it was “the best Batman show on TV” and Batman’s pretty cool, if you ask me. So I dug in — and my casual indulgence grew in intensity, driven mostly by an increasing fondness for its characters. (I am including the Salmon Ladder as a character, for the record.) That fondness kept me exploring down the path of available shows, and becoming more and more impressed by what I found. The CW proves fascinating as an exercise in network branding; while there’s a surprising level of diversity to the genres tackled — telenovela, period drama, supernatural thriller, superhero adventure, post-apocalyptic epic — each series adheres to something resembling a format. How to Make a CW Show: Put attractive young person in difficult situation that can be summed up in 30 seconds of voice-over at the beginning of each episode (the CW typically forgoes full credit sequences). Give him/her a lot of attractive friends whose romantic misadventures with each other serve as reliable B-plots. Add a crap-ton of bonkers twists and character deaths. Repeat. There are deviations from this formula. For example, period drama “Reign” makes the bold choice to forego the voice-over of its opening credits sequence halfway through the first season, presumably because it now assumes that it’s unnecessary, we all get it, this 16th century girl named Mary has gone to France to get married but royal politics are super-complicated. This is technically a good thing, except that the theme song by the Lumineers is now even more prominent and while it’s a good song, it is currently so stuck in my head that the next time I see a lute, I’m likely to smash it to bits. Also, while attractive young people are by and large the dominant demographic, there are characters on “Arrow” who are in their 40s and having babies. Characters who are adults, like me. Well, I am still inside the CW’s target demographic (officially defined as 18-34). But there’s been some interesting chatter of late about the rise in adult consumption of media meant for young people, specifically triggered by the popularity of the “Hunger Games” books and related media. In an interview with “Clarissa Explains It All” creator Mitchell Kriegman, he defined the concept of Y.A. as “popular fiction with a young protagonist.” That defines plenty of great stories told over the past decades — they just never used to have their own section of the bookstore before. Or their own network. Clearly I’m no snob when it comes to media, much to the continued horror of Indiewire’s chief TV critic. Keeping Ben Travers updated on some of these shows’ more outlandish plot developments has been an awful lot of fun, over the last few weeks. And the primary reason I watch the majority of these shows is one many should be able to understand — a lot of the time, when we watch TV, we don’t give it our undivided attention. This arguably was a thing long before the concept of second-screen viewing entered our lives; in the days before DVRs, we were constantly missing key moments, because we wandered out of the room or weren’t paying attention when a show came back from commercial break. Nowadays, of course, it’s worse. Nowadays it’s commonly accepted that much TV just will not command our full attention. We watch while playing mobile games, we watch while live-tweeting, we watch while handling the other trivialities of our lives. There are of course shows that demand the respect of full commitment (which is why I haven’t yet finished watching “True Detective” Season 1 or “The Wire” Season 4, but have seen almost every episode to date of “Castle”). Great TV is great TV, but different shows demand different levels of engagement. Thus, much of my CW viewing has taken place while dealing with the day-to-day of my job. Some people listen to music while they work. I binge-watch “The Vampire Diaries” Season 1. 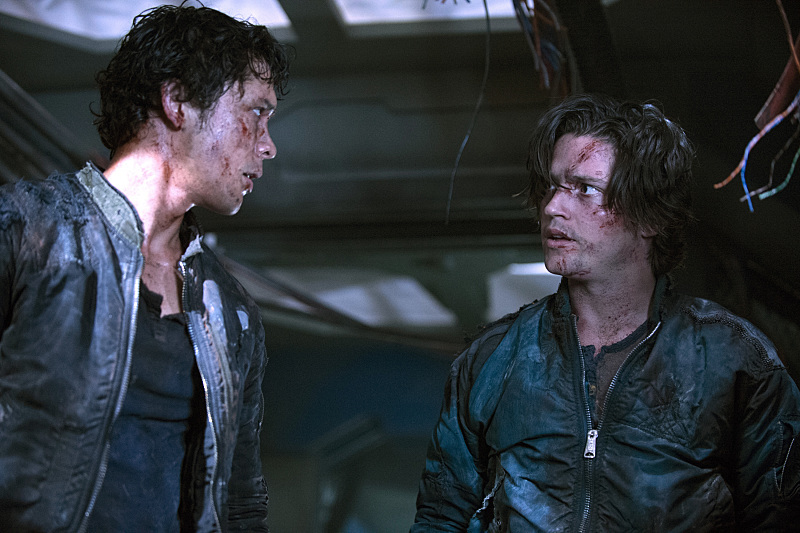 This sort of casual viewing doesn’t keep me from appreciating the surprisingly quality production design of post-apocalyptic drama “The 100,” or enjoying the goofy charm of “Arrow.” But it does mean admitting that sometimes while watching “The 100” I was not totally sure which dirty brown-haired guy was trying to stab one of the many other dirty brown-haired guys — and why I was dismayed when Guy With Long Brown Hair got a haircut, because his hair length was my only way of identifying him for certain. Another key factor in my bingeing? The CW, thanks to its youthful audience, has consistently been ahead of the times when it comes to making its shows available online. This meant that when I reached the end of “Arrow” Season 2 on Netflix, I was immediately able to catch up on the most recent developments of Season 3, thanks to Hulu. 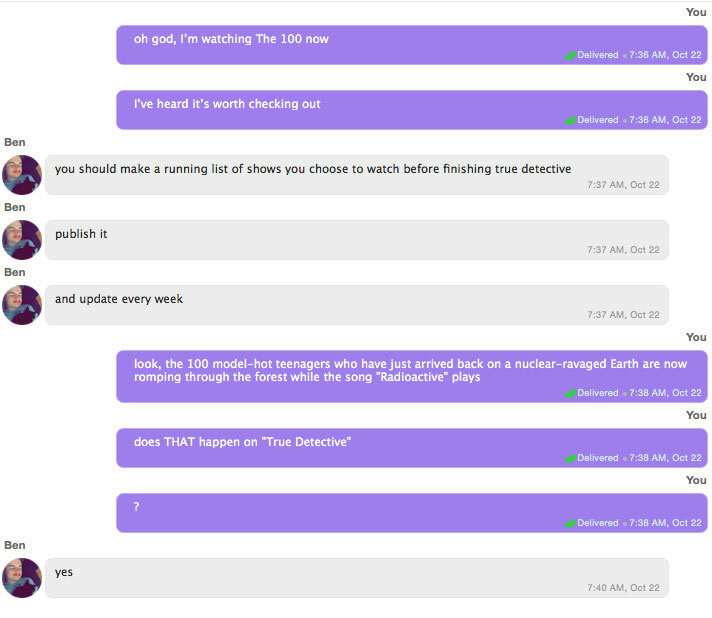 And when I ran out of “Arrow,” I was onto “The 100” in just a few clicks. The CW’s efficiency at putting its shows online demonstrates an understanding of where, exactly, its fans are most likely watching — which, as a side note, means watching what happens with sister network CBS’s efforts to launch an online streaming service very, very important. CBS might be trying to charge $6 a month for its shows. But it’s the actual people who watch the CW who would actually pay a similar amount — or more. 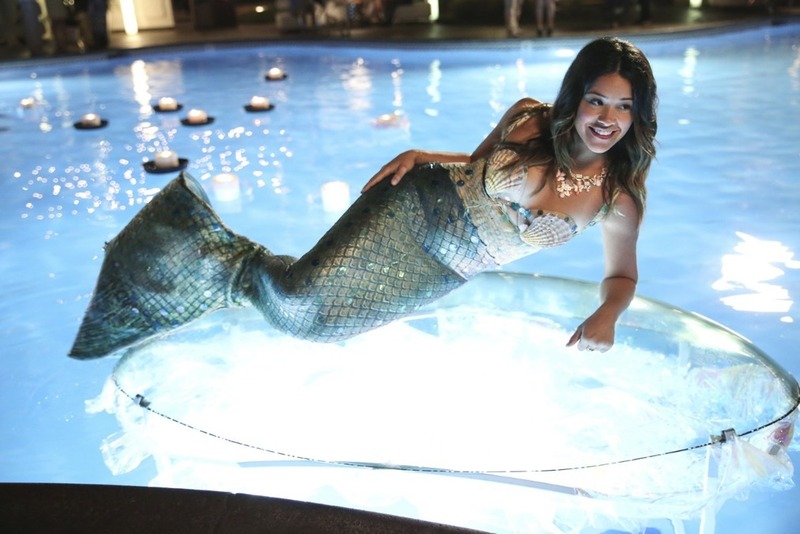 But this fall, the CW has a genuine critical hit in “Jane the Virgin,” which is indeed as charming as claimed by critics, who otherwise prove a bit dismissive of the network. (Metacritic currently ranks “Jane” at 80 percent — the Hollywood Reporter called it “the fall’s best broadcast pilot.”) But honestly, what it’s doing is not terribly different from a lot of the other shows on the network. The stellar cast and great execution elevate it. But it’s not off brand. It’ll be interesting to see if “Jane” can serve people as a gateway drug for other CW programming. It’s totally understandable if it doesn’t. After all, the charm of CW shows is found by embracing their quirks (girls don’t have body fat, boys don’t have chest hair) while appreciating their ability to surprise you. The first surprise you might experience watching the CW? How much you end up enjoying it. It’s not changing the medium. But it’s not hate-watching. When a CW show gets under your skin, it’s just plain fun. And when caring about television is your more-than-full-time job, a reminder of how much fun television can be goes a long, long way.